How To Find A Hair Growth Product That Really Works! With each latest health supplement trend, manufacturers very quickly begin to create products that they claim are the best on the market or the most effective, even manipulating the facts to claim that it is the doctor’s #1 choice. 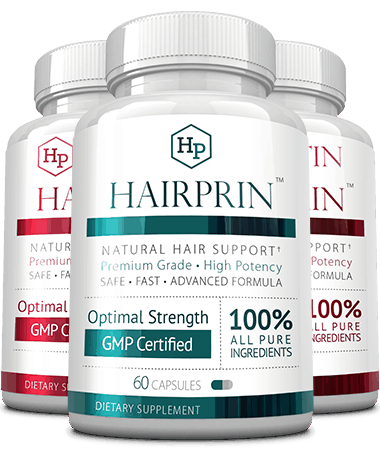 These wild claims are often not backed up with scientific support and with no real explanations as to why they have formulated their version of hair loss supplements in the way that they have or how exactly they work to help hair growth and stop hair loss! To say the least, they are very vague. It can be beyond confusing for consumers, not knowing which products are worth buying and which are worthless fakes. We felt it was time to carefully examine some of the products available, to discover more about which ones may be telling the truth and those that clearly you need to stay away from. Immediately, we were able to spot those that were simply out to make a quick return and cash in on the latest trends versus the products that we consider to be high quality and effective supplements that bring positive results. 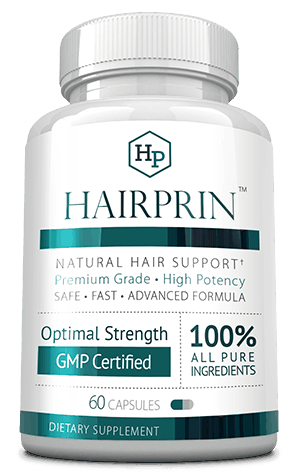 In short, many of the hair growth supplements contain ingredients that have no scientific or clinical support. What’s more, their standardized proprietary formulas do not contain the same potency as they claim on their labels. Many companies even hide their labels or supplement facts which prevent consumers from better understanding what is contained in the formulas. This is disheartening and quite frankly, misleading. Some companies think that by sticking a label on their bottle with the words, ‘Hair Growth Formula’, without even stating exactly what is inside each pill and why certain ingredients have been added or not, is enough for consumers to want to buy their products. It simply is not the right thing to do. Our research identified key areas that we felt, raised concerns when purchasing a hair growth product. With so many products out there, we felt that we needed clear parameters as to what to look out for when investing in a hair growth supplement. Will it be effective? This is perhaps the main concern for consumers, after all, why waste your money on something that is useless? Unfortunately, there are many products that simply don’t work, which is a real concern for many would-be potential buyers. Consumers need to be aware that there is a precise science in creating an effective formula. Will it be too expensive for me to purchase? Our research uncovered many manufacturers selling hair growth products for well over $100. People often think that by paying more, they will get better quality. This is not always the case. Don’t risk your hard-earned money on something that has a price which is over inflated and unrealistic. Is the company open and transparent? For you to understand whether a company is simply exploiting the latest health trends, or whether the manufacturer is all talk and no action, you need to be consumer savvy in order to establish which are the best companies to purchase products from and which ones to skip. This means manufacturers have to be transparent and open, providing you with as much information and guidance as they can. 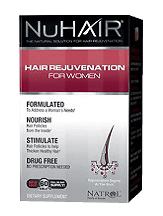 Finding Effective, Quality Hair Growth Supplements? OK, so….there are several key elements to look out for that can pretty much guarantee the product’s authenticity. 100% Money Back Guarantee: Many companies offer you a money back guarantee if their products do not bring the results that you are looking for. Some are better than others. Choose a company who has a solid satisfaction guarantee. A strong guarantee demonstrates the confidence that manufacturers have in their products. Thorough research takes time and money, which most people don’t have an endless supply of. So, we did the work for you, saving you both. We researched numerous hair growth products to ascertain an in-depth analysis of what is out there on the market. To determine those products that we could rate as beneficial, we looked to see if they contained the correct ingredients, how potent they were and their grade of purity. We eliminated products that we found to contain synthetic fillers, unnecessary ingredients and those that each pill showed inconsistency with each other. However, that was not all, we didn’t stop there. We understand that facts and figures don’t always tell the whole story. So, we looked for real consumers who had purchased and used the products and asked them for their feedback. Their testimonials helped us to establish a list of the best possible products currently available based on the experience of real consumers. 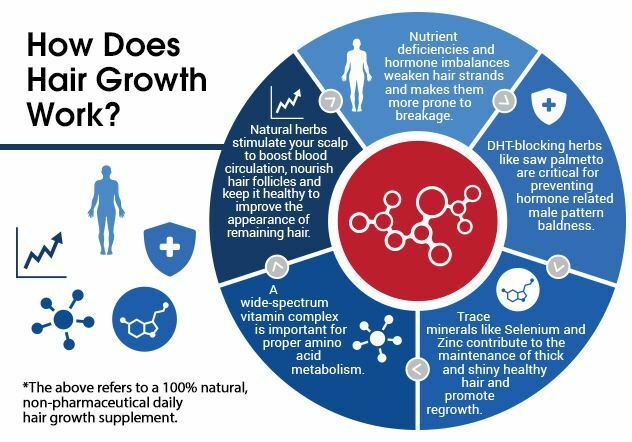 Basically, an effective hair growth formula should contain top quality, clinically proven ingredients in significantly potent doses for optimal effect. 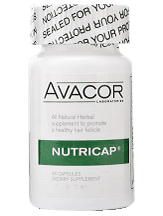 There are a variety of significant minerals, vitamins, amino acids and herbs that are beneficial for stimulating hair growth and slowing down hair loss. Some of the most appropriate include biotin, saw palmetto, tocopheryl acetate (the most potent form of Vitamin E) and folic acid to name but a few. Most products failed to pass our specific criteria. There were some manufacturers who actually include some good ingredients in their formulas, however, fail to include the most effective and clinically proven key ingredients for optimal hair growth. While other manufacturers simply failed by using a weak potency of certain ingredients than what has been proven effective in scientific studies. Others filled their pills with unnecessary or synthetic ingredients, binders, additives or preservatives. All but a few of them avoided quality control testing. We are very confident in the brands that we did pick. Given our stringent parameters and reasons for choosing our top products, we are sure our top picks will help you achieve the results you are looking for. Our top choice stands above and beyond the competition, we think you will agree. The company’s excellent reputation, top quality product, external independent monitoring, and testing, coupled with an incredible money back guarantee policy, makes this an undoubted solid pick for our #1 choice.